We have seen many posts and discussions over the internet, where people have shared the issues they are facing with their new Huawei phones. The biggest issue that we came across is battery draining and overheating, and hence we are here sharing the guidelines that will help you out. None of us wants to go outdated when it comes to latest gadgets and we understand the reason behind this. Today gadgets are playing a vital role in our lives after all, and they are treated as more than just a style statement. Whether you are in college or in office, being trendy and famous is everyone's need. 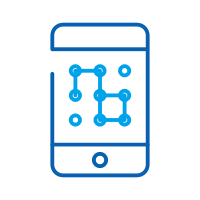 There are many companies today that are manufacturing smartphones at very low rates and this is the reason why we can see smartphones in everyone's hand. But as we know the quality of those smartphones are not as good as the branded smartphones. The difference in cost is because of the difference in grade of instruments and devices used while manufacturing smartphones. Good brands use high quality material and this the reason why their devices last for long. A large number of people have purchased Huawei phones and many of them have complained a lot about Huawei battery and charging problems. Normal heating is not a problem, after all smartphones are electronic devices, but when you face this issue all the time and you feel that your mobile is heating up a lot and it may cause damage or harm you, then it can be point of concern. Here we have pointed out the common things that you can try with your Huawei phone or for that matter any other Android device that's giving you issues with overheating and battery drain. The first and the foremost thing that you must look for is finding out the area where the phone is heating up. This will narrow down your problem and you will come to know why exactly is your phone heating up and why you are facing these many issues with your Huawei battery. Back of your phone is heating up? If you are facing the issue that the back of your cell phone is heating up then you must understand that this issue is not with your Huawei phone but its Huawei battery problems. This kind of things came up when the battery of your phone gets damaged or old. You will also face this issue when you are charging your phone from some other charger. Try charging your phone from the original and Huawei recommended charger and check whether the same issue persist. So you must check out all these things when the back of your phone is heating up. Base of your phone is heating up? Is your phone heating up from the bottom, the place where you plug in the charger? Is your cell phone heating up when you are charging it? If this is the issue, then you must understand that this is the issue with charger. Either your Huawei charger went faulty or you might be using some other charger. In order to fix Huawei charging problem you must replace your Huawei charger, but if not then you must get a new and recommended charger for your phone. 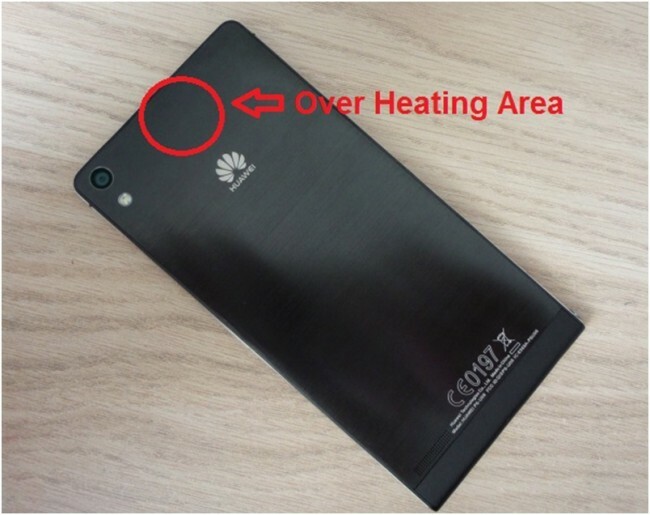 Is your Huawei Phone heating up from the back top compartment? 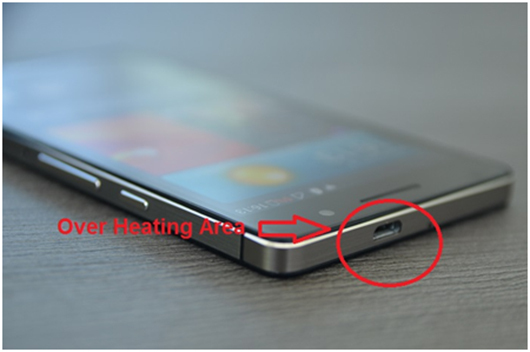 If you recognize that the heating part is speaker ( the part that you hold over your ears while talking with someone over the phone) then you must understand that it's not only a major issue. But it may damage your ears. This problem persist when the speaker of your phone gone faulty. 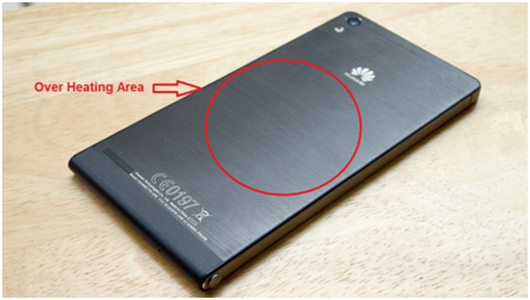 So you must rush to the authorized Huawei service center and get it repaired. 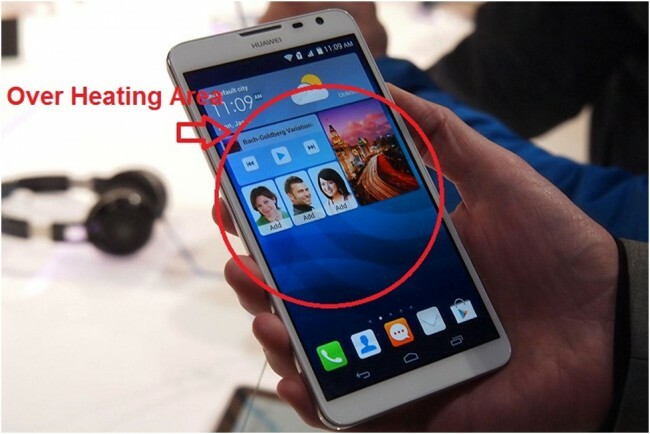 If the screen or display of your Huawei phone is heating up and sometime it seems to have gained very high temperature, then you can easily recognize that it's the issue with your Huawei phone only. So you must follow the advice that is provided below. So now you have narrowed down the area of problem, and you found that there is issue with the phone itself and not with the battery and charger. You must follow the steps given below in order to fix it. It is always a good choice to use a third-party app to reduce battery drain on your smartphone. Here we are going to introduce you Greenify. Greenify, featured as Lifehacker's Top 1 Utility in 2013 Best Android Apps, is loved by many Android phone users. Greenify helps you to identify the apps you are not using and put them into hibernation, and stop them from lagging your device and leeching the battery. With no apps running in background, you will definitely see a increase of Huawei battery life. The first and the foremost thing that you must do is to free up you Huawei phone. You must remove the apps and data that is not usable for you. This will lighten up your phone and its processor and so your phone will have to put on less efforts which will help fixing Huawei battery problems and overheating problem. There is no doubt that Android phones are awesome and so we can rely on them for our daily work. Whenever we go to any place, we click many pictures and videos, but we don't have time to pick the right ones from them and remove the rest so these pictures and videos not only eats up the storage but it also eats up processors speed. So it's better you clear them. You can turn off the location service to reduce battery draining. Also, tweaking the GPS settings can help you improve the battery life. Go to Settings > Location > Mode and you will see three options. High Accuracy, which uses GPS, Wi-Fi and the mobile network to determine your position, which in turn uses quite a lot of power to do so; Battery Saving which, as the name suggests, reduces battery drain. You can change the settings to Battery Saving option. There is another setting you can try. Go to Settings > Applications > All > Google Play Services. Here tap on Clear Cache button. This will refresh Google Play Service and stop the cache to eat up your battery. Android have huge collection of games and many games so way to big. We can see new games getting launched daily. Having games on Huawei phone is not bad but you must remove the games that you do not play. You must remember that the more space is consumed the more battery draining problem you will face. Many games are there that require some resources from your phone like data connection and other sensors, these games are a big reason for battery draining and overheating. We understand that you love your Huawei phone a lot and so you use cases and covers in order to save it from scratches and dust, but a good ventilation is very important. Normally the covers that we buy at very cheaper rates are of poor quality and they don't have to do anything with the ventilation so you must buy the cases that are manufactured specifically for your Huawei phone by Huawei. If you follow these steps we are sure that you won't face the same issue again and your phone will last for longer.